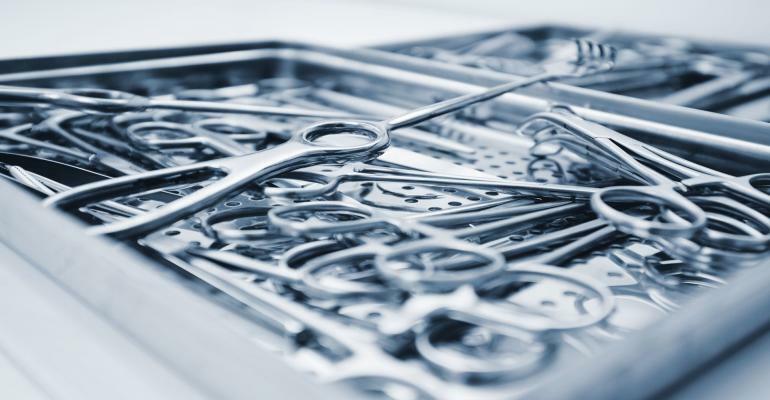 It is absolutely no secret that sterile processing technicians are a very integral part of the medical team, but they are often one of the most overlooked people. These technicians are responsible for taking inventory, packing up medical instruments, and making sure they are properly sterilized. They are the very first line of defense when it comes to controlling infections in the medical field. If someone is having surgery, it is up to the sterile processing technician to make sure that the instruments are properly sterilized so that the patient gets their surgery without contracting any type of infection. Below is a detailed plan in how you can become one of these technicians. Though this is a technical certification, you should first obtain your GED or high school diploma before you can get your certification. After you obtain your diploma or GED, there are several courses in which you can take. You can take a certification at a community college, a career college, or even an online course. Many schools offer online courses for which to obtain your certification, and other career colleges offer 10-week programs with accelerated courses for you to get your certification. You can also go to a community college and get a community college degree in 1-2 years. Some of the programs for sterile processing technicians offer instructions that are more traditional. In these hands-on programs, you will get a combination of hands-on training in places like hospitals, doctors offices, or surgery centers as well as classroom learning so you can learn the proper, step-by-step methods you will need to know. You can gain on the job experience through internships at medical offices, and official certification programs which also push for you to find every opportunity you can in order to gain more experience. There is another option for you that will allow you to obtain your sterile processing certification. You can earn this certification through the Certification Board for Sterile Processing and Distribution (also known as the CBSPD), or the International Association of Healthcare Central Service Materiel Management (more commonly known as the IAHCSMM). Currently, there are only two states in the United States that require you, by law, to have the sterile processing technician certification. Those states are New York and New Jersey. However, though it is not required by law, most employers do require you to have a certification before they will hire you. The two certifications, CBSPD and IAHCSMM, have varying requirements. You can check what the requirements are on each association’s website. You can find a community college or career college that has this certification in their course work by simply doing a quick internet search. If you do not find one that is local to you, you can always obtain the certification through an online school and gain the necessary hands-on training by doing an internship or asking a medical office if they would allow you to log hands-on training. You can find the best online courses for the certification be looking on the website EdX or the Khan Academy. Once you are certified, you do still have to continue doing the hands-on work so that you stay fresh. Otherwise, you will have to retake the certification exam. Becoming a sterile processing technician is a very rewarding job. You get the satisfaction of knowing that the work you do is keeping people alive and keeping them from getting any type of infection when they go to the doctor. It is also a job that pays well and will allow you to make a good living. This certification will travel with you and you can find a job virtually anywhere you go!